Today, I got a great gift idea today for any wine lover, girl's night out, or date night! Wine Battles is the tournament style social wine game where you drink amazing wines to become a more knowledgeable wine enthusiast. Wine Battles is perfect for that special someone who is interested in learning about wine while spending time with friends and family. Here is what one Battler said about her experience: "It was the first time in years where I sat with my husband and talked about something other than our kids or work. I loved this experience," said Neera Verma, San Francisco. Wine Battles offers experiences that two people or a group of people can do at home alone or as a party. It is a unique opportunity to explore, experience and engage in something new and exciting every time. Each week of the tournament, you and your partner will receive two bottles of wine and help decide the winner. 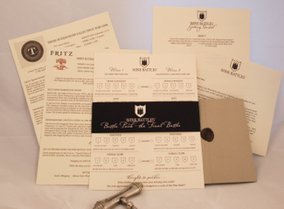 A great gift idea this holiday season is to give a gift certificate for one Wine Battle Membership! The Battle in a Box includes everything you need for a battle that you can conduct on your own time for a bachelorette party, book club, or couples night. 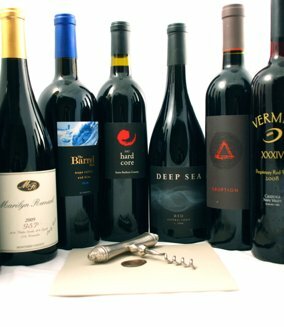 These come in a variety of prices options based on the amount of people and types of wine an individual chooses. Buy It: You can purchase different Wine Battles packages on the Wine Battles website.